GREENSBORO, NC – April 12, 2017 – Qorvo® (Nasdaq:QRVO), a leading provider of innovative RF solutions that connect the world, continues to advance 802.11ax migration as customers implement its recently released portfolio of Wi-Fi front-end modules (FEMs). The company’s new 2.4GHz and 5GHz FEMs, and bulk acoustic wave (BAW) filters, provide the high throughput and extreme thermal efficiency that are central to high-density 802.11ax Wi-Fi connectivity. The 802.11ax standard will deliver significantly greater capacity – which translates into more data, more devices and more services – over different frequency networks. In 2016, ABI Research forecast that 802.11ax will account for nearly 60 percent of the 21 billion Wi-Fi chipsets expected to ship by 2021. The most recently introduced Qorvo Wi-Fi FEM family lays the foundation for 802.11ax with its support for 802.11ac and Wave 2 1024QAM. The 5GHz FEMs in the family offer more than 1.2 Gbps throughput per stream (with up to eight streams), the highest achievable data rate. 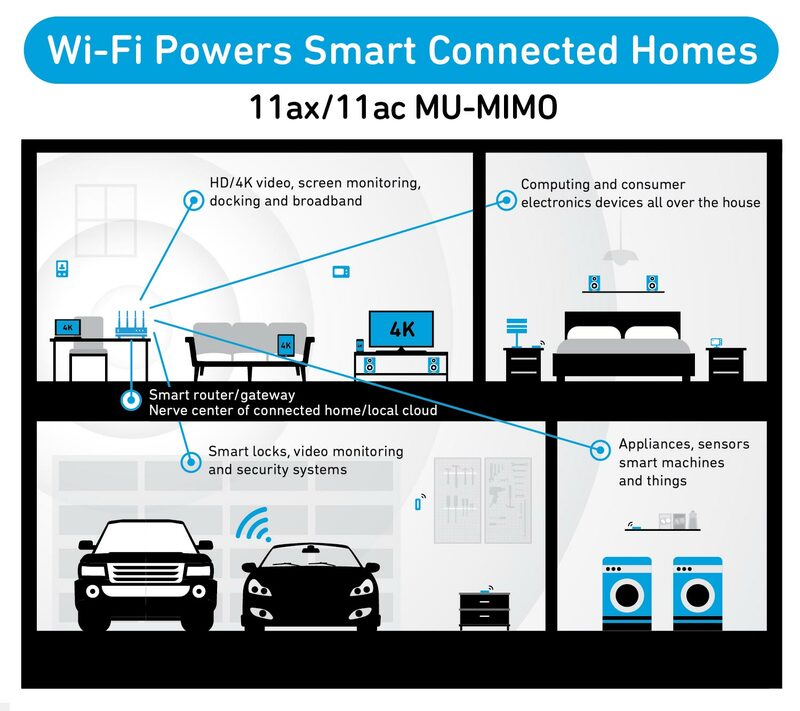 These capabilities support the essential requirements of 802.11ax, such as multi-user multiple-input/multiple-output (MU-MIMO), extended range and high throughput, as well as denser-capacity Orthogonal Frequency Division Multiple Access (OFDMA) modulation. Qorvo’s BAW technology addresses thermal concerns, harmonic compliance and band-edge performance to enable broad power transmission across the full allocated spectrum. This enables maximum range and reliable throughput for Wi-Fi applications. 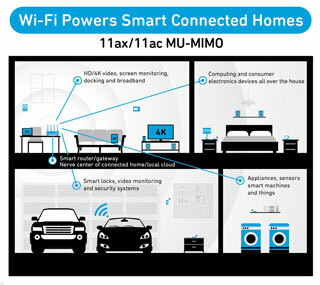 Detailed information about Qorvo Wi-Fi solutions is available on our wi-fi integrated modules page.